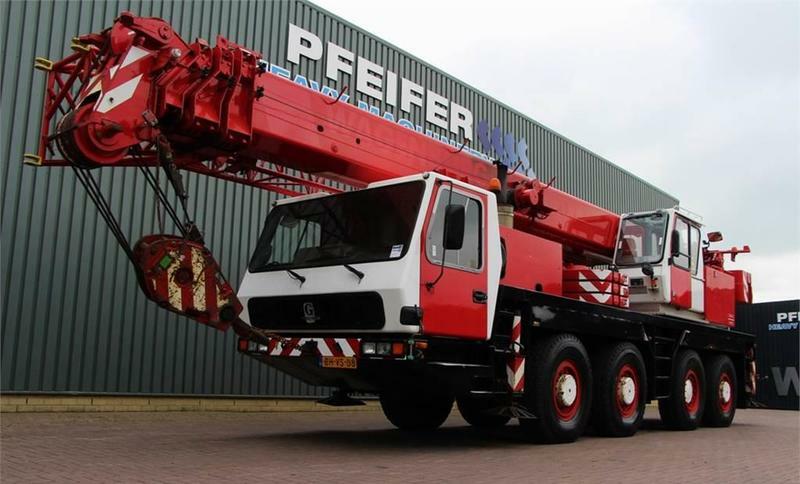 Check the technical data of the unit, picked out from the catalog of GROVE all terrain crane. The gross weight is 53540 kg. Chassis configuration: front tires: 50 %, rear tires: 50 %. The mileage is 163172 km. Max. lifting capacity: 70000 kg.